Garrison, whose career was destroyed for a time, came back from the smears, not by trying to shut the trolls down but by flooding the internet with his real cartoons and waging an active social media campaign. It’s a fascinating bit of reading. 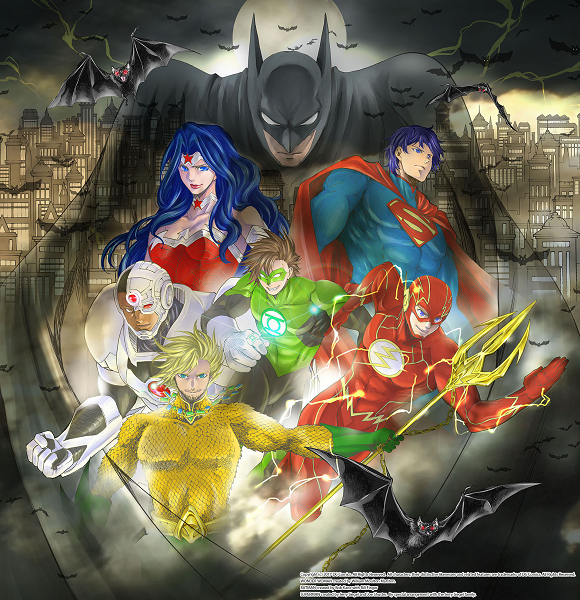 Manga League: DC Comics has teamed up with a Japanese publisher to produce Justice League manga in Japan. The series is actually titled Batman and the Justice League, and it debuted in Akita Shoten’s Champion Red magazine last week. Artist Shiori Teshirogi is drawing the series, which is not available in English yet. 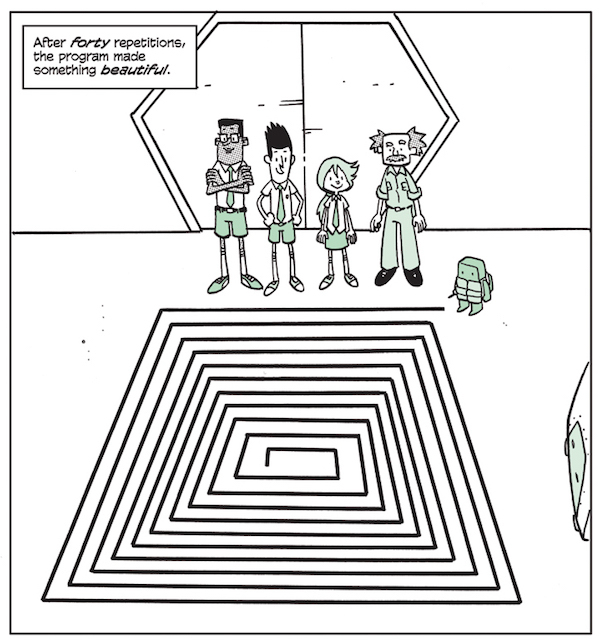 Not Just for Adults Anymore: Your long read for the day is Abraham Riesman’s comprehensive story for New York Magazine’s Vulture blog on the growth of kids’ comics. It was just 10 years ago that DC’s Minx initiative failed, causing one disgusted insider to remark “this development should be seen as a depressing indication that a market for alternative young adult comics does not exist in the capacity to support an initiative of this kind, if at all.” That turned out to be spectacularly wrong, and Riesman talks to insiders such as Scholastic’s David Saylor, retailer Brian Hibbs, and ICv2 editor Milton Griepp (and, briefly, yours truly) to better understand the boom in comics for kids and teens. Manga Magic: The North American manga scene burgeoned in the late 1990s and early 2000s, peaked in 2007, and went into a prolonged slump. The picture has been improving over the past few years, though, and at Publishers Weekly, Deb Aoki takes the broad view and sees nine reasons for publishers to be optimistic, ranging from changes in the Japanese industry to the popularity of streaming anime to the light novel boom. Panic at the Distro: Alex Abad-Santos explains the comics distribution system, how it works against new comics such as World of Wakanda, and why buying the comic off the shelf at a comic shop won’t help save it. Make It Easy! Johanna Draper Carlson has some advice for publishers on making it easier for readers to pre-order their comics. 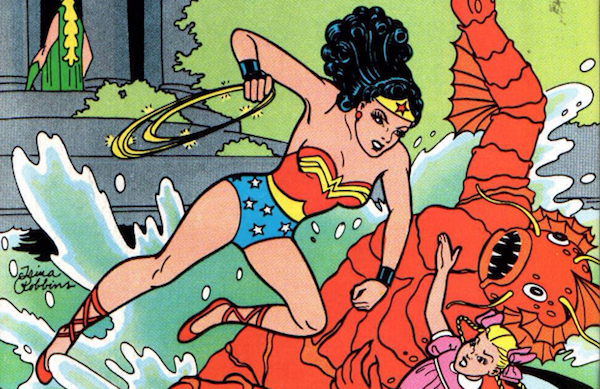 Looking Back on Wonder Woman: In a video interview, Trina Robbins talks about working on the Wonder Woman comic in the 1980s. Unicorn Tales: At Good Comics for Kids, I interviewed Dana Simpson, the creator of the Phoebe and Her Unicorn comics and a transgender woman who is working on a middle-grade graphic novel about her transition. Strong Female Creators: Sharon Shinn and Molly Ostertag talk about their new graphic novel Shattered Warrior, recently published by First Second. Science Tales: Remember when science comics were boring and didactic? Not any more, as I discovered when researching this article on science graphic novels for School Library Journal. Like My Book? Here’s Ten More! 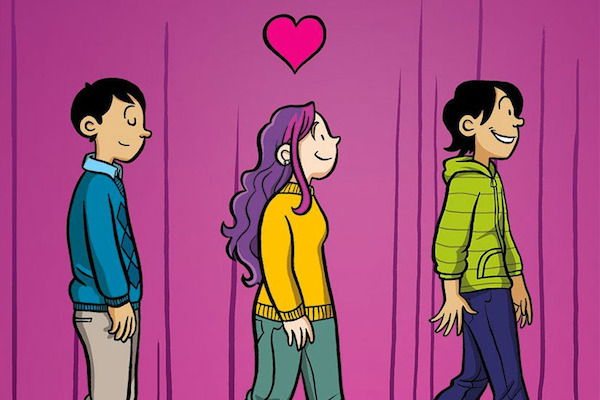 When she accepted the Dwayne McDuffie Award for Kids Comics last weekend for her graphic novel Ghosts, Raina Telgemeier turned the spotlight away from herself and recommended a list of ten graphic novels by diverse creators—and then gave away copies to the audience. Con Smarts: Comic-Con International is just around the corner, and Abby Hamblin of the San Diego Union-Tribune has some tips for people-watching and enjoying the con with or without a badge. There’s even a little animated cartoon! Time for CAKE: Tom Spurgeon files his con report on the Chicago small-press and indy comics festival CAKE.